This has been an incredible week. 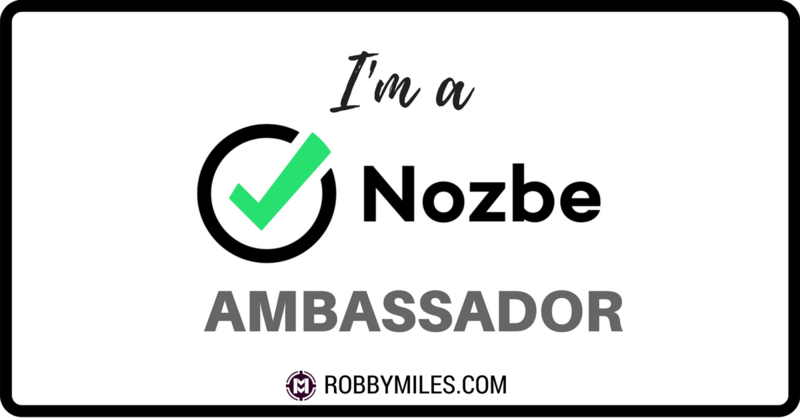 I’ve been accepted as a Nozbe Ambassador and will be able to help you even more. I hear you asking…What does that even mean and why should I care? In this post, I share exactly what being a Nozbe Ambassador means and what I plan to do to help you reach your productivity goals. What is a Nozbe Ambassador? A Nozbe Ambassador is an online leader who Nozbe has recognized as having expertise in using their software and teaching what they know. It’s someone who can help you get started using Nozbe to create your perfect productivity system. We are users who have already created training materials for Nozbe, such as books, plugins, blog posts, videos, etc. As ambassadors, we are not hired by Nozbe, but instead they trust us to answer questions and interact with their customers to offer one-on-one support. As of this writing, there are only nine Nozbe Ambassadors worldwide! Not Much Changes – I’ll still be writing regular productivity posts that work in the real world. The only thing that changes for long time readers, is that I’ll be posting more about how to use Nozbe as the center of your productivity system. Everything Changes – Now that I’m a Nozbe Ambassador, I have to up my game. Every Friday I’m posting some new trick or technique you can use to streamline your system. I’m also beginning to research what types of training materials I can create to answer your productivity and Nozbe questions. I’m supporting Nozbe in their mission, so I’ll be more active on Twitter and answering more email. New Opportunities to Work Together – I’m developing a new coaching program to help busy parents or professionals get control of their time or business using Nozbe to organize projects and communicate with their team. If you want to jump in now while I’m in the testing phase, learn more here. Overall, I’ll be able to help you more as I develop more content and training as a Nozbe Ambassador.